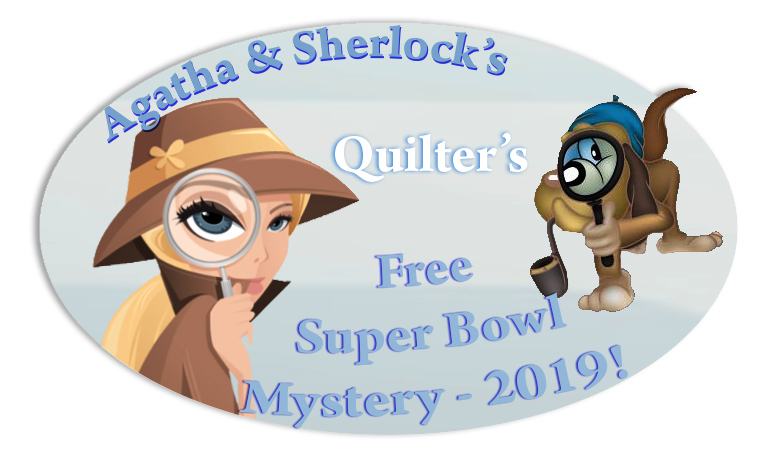 Agatha & Sherlocks Free 2019 Super Bowl Mystery on Peach Tree Lane! 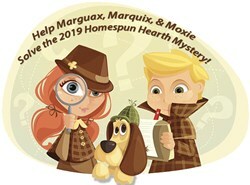 Agatha & Sherlocks Free 2019 Super Bowl Mystery on Peach Tree Lane! has not been rated yet. It's time to round up all of you Football Widows-and what better way to spend Super Bowl Sunday than with Agatha and Sherlock as they solve the Super Bowl 2019 Mystery on Peach Tree Lane! This is a one-day Mystery, and we think this design will be a touch-down! The Mystery begins at 8:00 Mountain time on Sunday February 3, 2019, and clues will be released throughout the day into your account until we have solved the mystery. 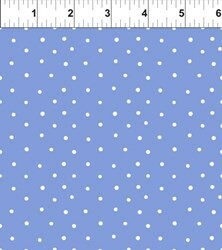 This Free Mystery quilt and the quilt measures 56" x 67" when you are finished. 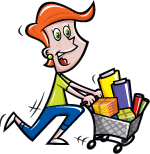 To get started, simply add this to your cart and check out - the download will be available for you in your account as soon as you process your order. 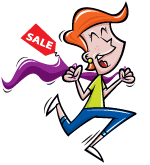 Take the stress out of choosing your fabrics - We have Optional Kits that are tons of fun! The cost of the kits are $79.80 and this includes US Shipping Costs. The Kit will all ship out on Friday, January 25. Optional Backing is also available.